Habitat - Ponds, lakes, marshes. 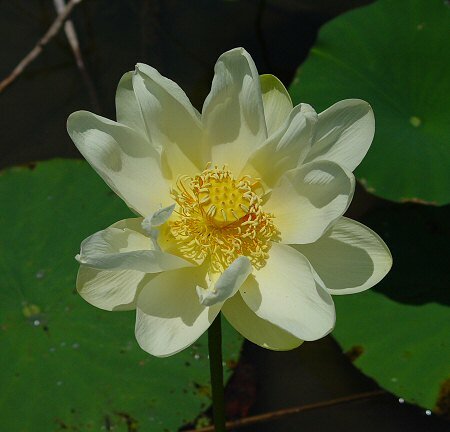 Other information - This attractive aquatic species can be found in a few northern Alabama counties and also in the southern portion of the state. 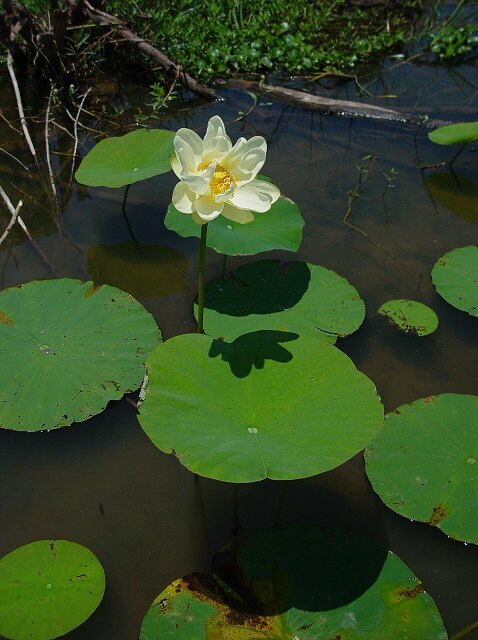 The plant is easy to identify becasue of its habitat, peltate leaves, and big flowers. The flowers are held high above the water. Some leaves float on the water's surface while others are held well above the water. 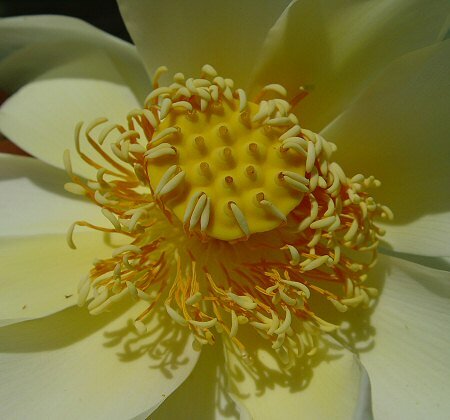 Nelumbo is taken from a Ceylonese (Sinhalese) name. The species epithet lutea derives from the Latin "lut(e)" meaning "yellow, mud-colored" referring to the color of the flowers. Photographs taken at Eufala National Wildlife Refuge, AL., 6-4-06.